If you’re willing to put in the time and practice then these books will only help you improve faster with fewer obstacles. Later in the book you’ll learn about Ajax and the XMLHttpRequest method that makes Ajax possible. All-in-all a great book, although somewhat technical for complete beginners. But this book isn’t just a plain intro guide. It actually covers the JS language explaining what makes it so great and why developers should spend their time learning it. Highly recommend this book for beginners and experienced coders alike. This entire book series is mindblowing for how much detail is inside and how much you can learn. The updated version of ECMAScript 2016 grants even more power to JS developers and this is a main talking point in this series. 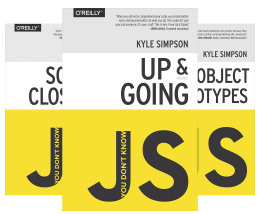 You Don’t Know JS spans a total of six different books starting with the basics and moving through objects, scopes, closure, and ES 2016 changes. 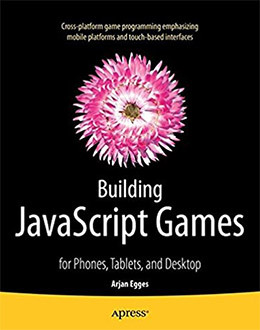 Whether you’re trying to learn Node or build JS games or just use some JS on your website, these books are invaluable to the learning process. The current 6th edition of the book totals over 1,000 pages with dozens of chapters on all the important features of JS. This book is far above anything you’ll find online because it’s written in a way that forces you to think about coding principles, then put them into practice on your own. What I find most interesting is how this book works well for all experience levels. Beginners will learn something new on pretty much every page, however skilled developers will also pick up a lot from this book. 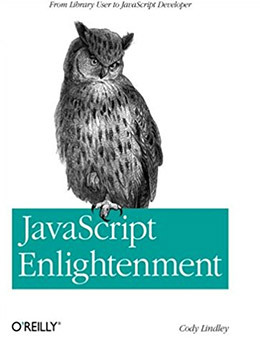 It does teach you JS ideas like classes, objects, client-side storage, JS APIs, and similar complex topics. But it also teaches you how to properly code these ideas using best practices for modern web development. 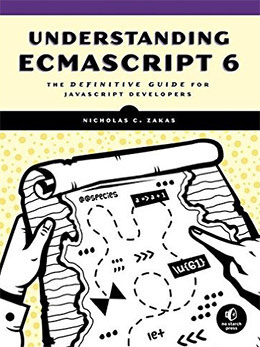 Easily the best investment for any JS developer or aspiring developer who wants to pick up some key pointers and write incredible reusable code. 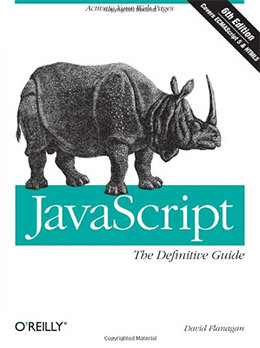 This book clocks in at just under 800 pages and it’s a massive guide to the JS ecosystem from the perspective of a complete novice. The lessons are easy to follow regardless of your skillset and they use practical code snippets to keep you engaged. Unfortunately the Kindle/digital version is almost unusable because the code snippets have improper spacing. Developers like digital versions because you can sometimes copy/paste right from the book into your IDE. However this version is useless for that so you’ll be much better off grabbing the print copy. Jon Duckett’s books are typically recommended for beginners who aren’t sure where to get started. He’s an expert frontend developer with a keen eye for explaining critical concepts in great detail. Then mid-way through you’ll switch over to jQuery which abstracts the code and simplifies your workflow. I’ve always been a fan of the “missing manual” series because these books usually offer tons of concrete advice, not to mention a few techniques that even professionals don’t know about. You will spend a lot of time punching in code to understand loops, methods, parameters, variable scope, and other common features. But through practice you’ll also pick up some good coding habits which makes this one of the better intros to practical web development. If you are a complete beginner you might keep this book nearby as a reference and as further learning materials. But you should already understand the basics of JS before even thinking about how to improve your code. But I will admit the code snippets in this guide are not amazing. They certainly aren’t bad either, but I have seen better code examples in other books with clearer explanations. Zakas works as a frontend developer at Yahoo! so he spends a lot of time optimizing code to run fast. But this book also talks about deployment and testing to ensure your webapps are highly performant no matter what phase of development you’re in. Some of the biggest factors include HTTP requests/Ajax requests along with complicated DOM manipulations that can slow down the browser’s rendering engine. 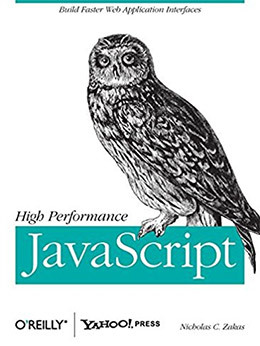 This book is a must-own for any serious frontend developer and it’s one of the most detailed books on the subject of performant JS code. 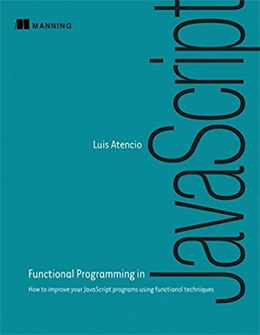 In this guide you’ll learn about functional programming from the ground-up and how you can apply this to your JS scripting. Atencio talks about code extensibility, modularization, and unit testing to determine performance issues. He also shares ideas on when functional programming works best and which applications benefit the most from FP design patterns. You don’t need to ever learn functional programming to become a web developer. But if you want to push yourself into this popular programming paradigm then Atencio’s book is an excellent place to start. Many of these tools are outdated but they still work comparably, sort of like DevTools compared to Firebug. 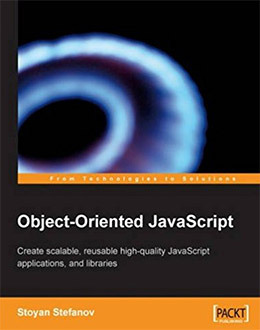 Outside of the publication date I’d mark this book well worth studying if you want to dive into OOP JS programming. Professional developers will always vouch for a quality codebase. Nobody wants to muck around with confusing code and it’s a real problem with legacy systems. 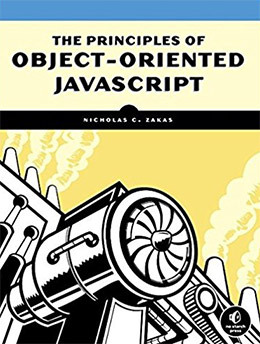 The author Nicholas C. Zakas has penned a few JS books and they’re all phenomenal, especially this one. It teaches you how to think about projects before you write a single line of code and how planning can make a huge different in any project you start. You’re encouraged to think about function/variable names and how you add spaces into your code. You’ll also learn how to use tools like JSLint to gauge quality and find potential syntax errors. File encodings and style guidelines are also discussed which are two important subjects that don’t relate directly to coding, but they affect the overall output quality of your scripts. Every Manning book I’ve ever read goes into great detail with tons of practical examples. jQuery in Action is no exception and it’s one of the best jQuery books for action-oriented developers. If you learn best by doing then this book is for you. 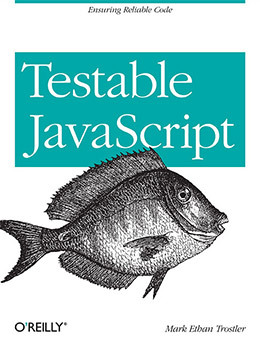 This is the title I suggested as the best choice in my jQuery book list and I still stand by that decision. Currently in its 3rd edition this book spans 500+ pages of exercises teaching jQuery syntax and best practices. You’ll learn how to manipulate the DOM and how to handle user input, along with running Ajax requests to your server or through 3rd party APIs. 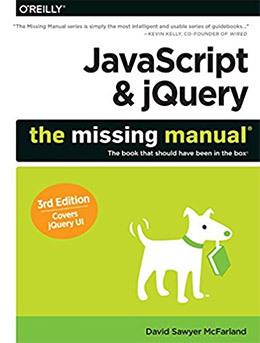 Each chapter builds upon the last so you’ll work from the bare-bones essentials up to the top of the jQuery pyramid. It’s a great book for complete beginners and experienced developers alike with plenty of tips & tricks to go along. It seems like everyone and their grandma loves React.js. This is a frontend library that works on its own virtual DOM to manipulate elements and share them through an MVC architecture. If you don’t understand any of those terms then you’ll definitely like this book. Learning React does not assume any prior knowledge of React.js. The whole library does seem pretty wacky at first. 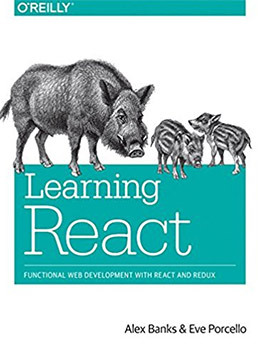 It also comes with a steep learning curve so it may be a few weeks before you even understand why React is so crucial to modern frontend development. But the lessons in this book treat the reader like a complete beginner and it aims to bring React.js into your modern workflow. With a total of 350 pages and loads of exercises to work through you’ll pick up all the basics of React through this book. Practice makes perfect and with guided practice you’ll reach perfection even quicker. You’ll learn all about the many JS libraries for adding audio, game controls, graphics, and payable assets onto the screen. Much of this relies on the HTML5 canvas element but you can also build native applications using JS libraries too. Since game programming is such a detailed topic you can’t expect to become a master just from reading this book. 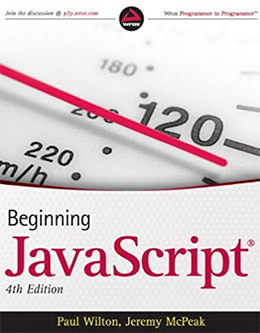 However this is the #1 best starting point for JS game developers who want a serious introduction to the field. 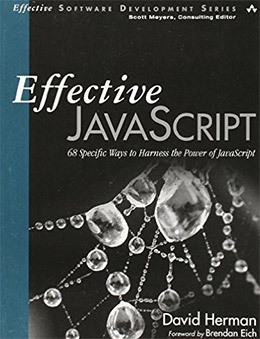 But with this book you’ll learn some invaluable techniques on testing, inheritance, and complex topics like manipulating the HTML head object. Ever wanted to run complex mathematical functions or understand the different variable scopes? Confused about how null objects work? Then this is the only book you’ll need and it’s guaranteed to bring your JS knowledge up a couple notches. By far the best ES6 guide you can find and it’s all very relevant to ES2016 and beyond. Code testing is a necessary evil to ensure the quality of your scripts. Not many developers bother with this because it can be tedious or just plain boring. This book covers a whole bunch of complex topics from linting to multi-file debugging, unit testing, and event-based JS architecture. You’ll also learn about load testing and how to use tools like Selenium to cut down the hassle of testing. At the very end of the book you’ll find some handy automation tools you can copy and reuse for testing real projects. This guide will help shave hours of time off your project work so it’s well worth grabbing once you’re somewhat adept with scripting. 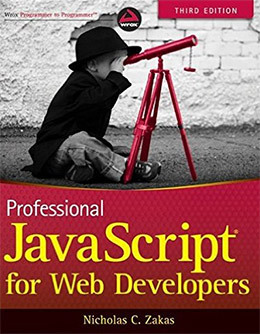 Anyone serious about web development as a career needs a copy of this book. It’ll take you so much farther than trying to solve things on your own, not to mention all the advice from professional JS devs is a goldmine of information. Working through each chapter can feel like a challenge because there’s so much to consume. This is one of those books you’ll come back to many times because it’s packed with so much stuff. You’ll find a ton of great tips on topics like asynchronous development and closures, but you’ll also find a ton of pitfalls to avoid along the way. Efficient performant code is a focal point the whole way so you can rest assured you’re learning the best way to approach any challenge. 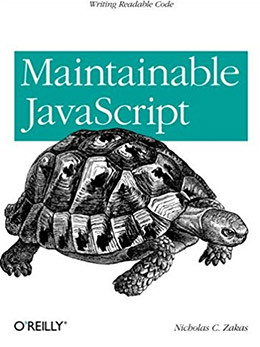 This is the ultimate book for any serious JS developer. If you can’t find any good material to help advance your skills then take a peek at this book and see what it offers. But no matter what your skill level there’s plenty of material in this list to bring you from a novice JS developer to an expert in everything from frontend development, React/jQuery, and even JS game dev too.